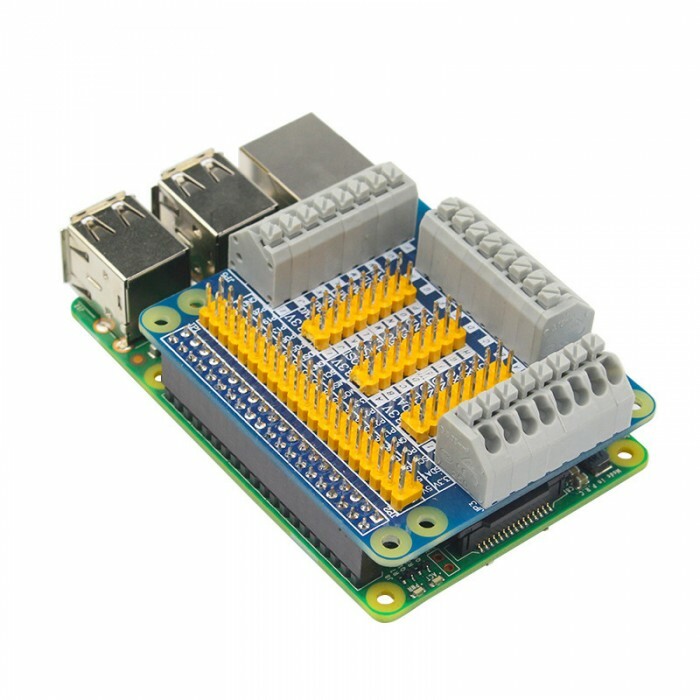 Connect easily to your Raspberry Pi GPIO pins with the adapter. 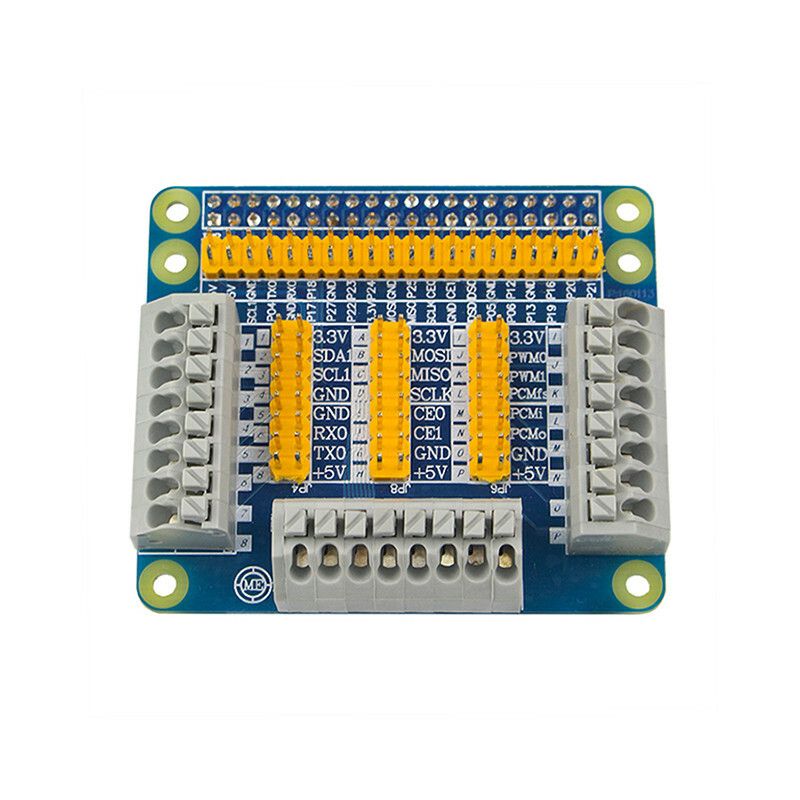 Simply clip in the cables from sensors or switches and you can even jumper GPIO pins. 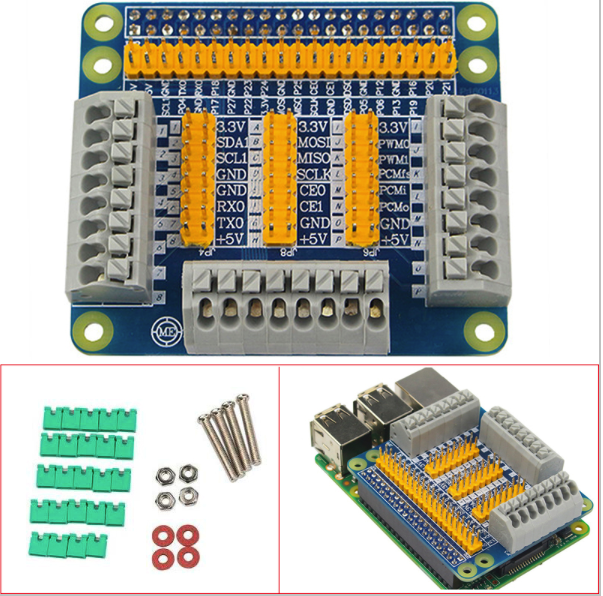 Everything is labellled and easy to identify. 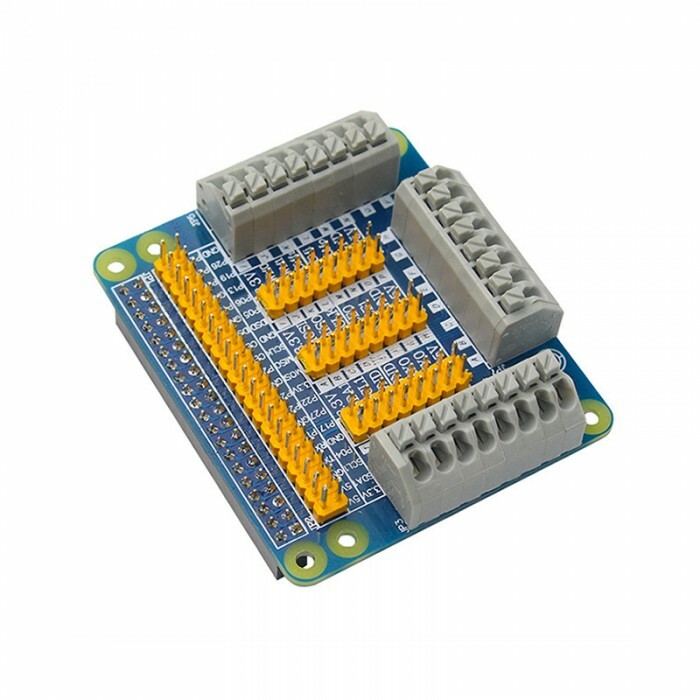 Press in connectors make conneting things up to your PI so easy. 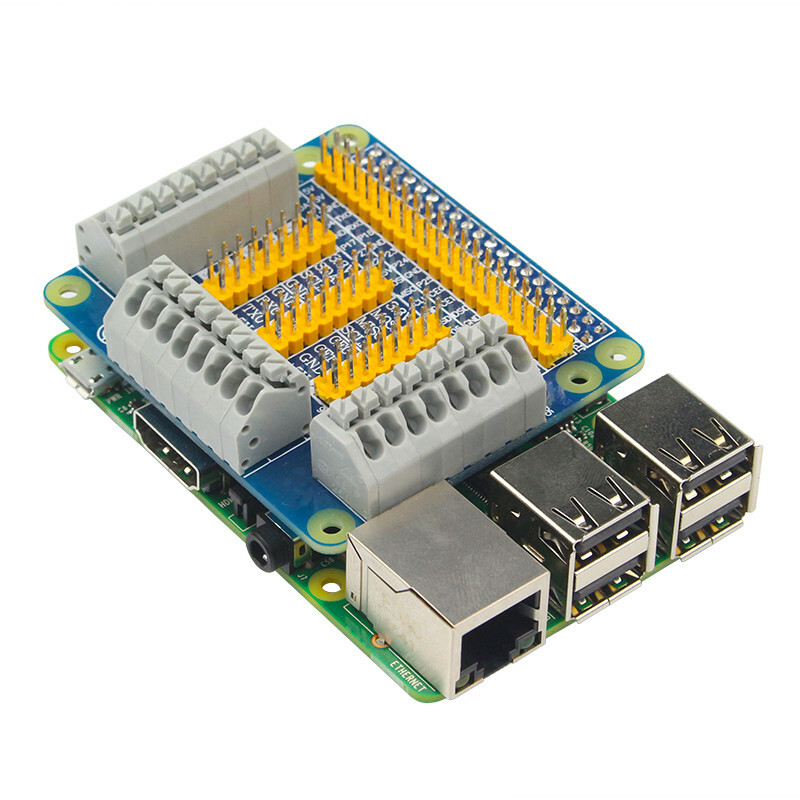 Kit comes together with jumper links and standoffs to mount it on the Raspberry Pi. 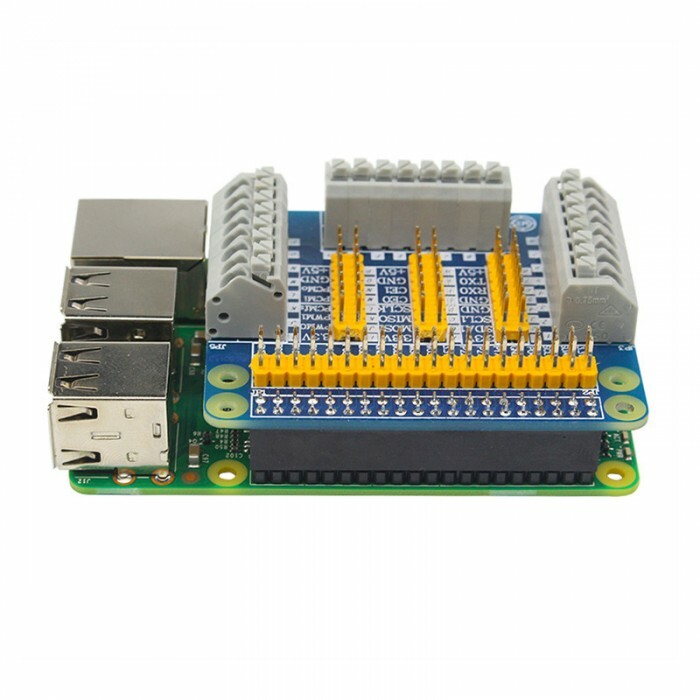 Raspberry Pi 3 ModB+ with CASE and HDMI CablePackage consiste of:1x Raspberry PI Board -..
Raspberry PI Board - 3 Model B **** Model B 1Gb Ram, 1200 Mhz Quad Core ****This is the Model R..
Raspberry Pi - Essentials Pack Package consists of:1x Raspberry PI Board - 3 Latest ..